KATHMANDU, Aug 17: Finance Minister Dr Yuba Raj Khatiwada has said a campaign would be started to end the absolute poverty by the coming three to four years. The Finance Minister said this while addressing to the inaugural program of a workshop on microfinance organised by the Microfinance Association Nepal here today. He said the government would start the campaign to end this sort of poverty linking poverty with production. “We are linking poverty with production and skills. We will move ahead on the path of prosperity by ending the absolute poverty,” Finance Minister Khatiwada asserted. He called on the microfinance institutions to contribute towards ending poverty working together with the local levels, urging them to invest in small businesses to raise the living standard of the poor. He suggested the micro finance institutions to invest in entrepreneurship development and contribute to women empowerment. 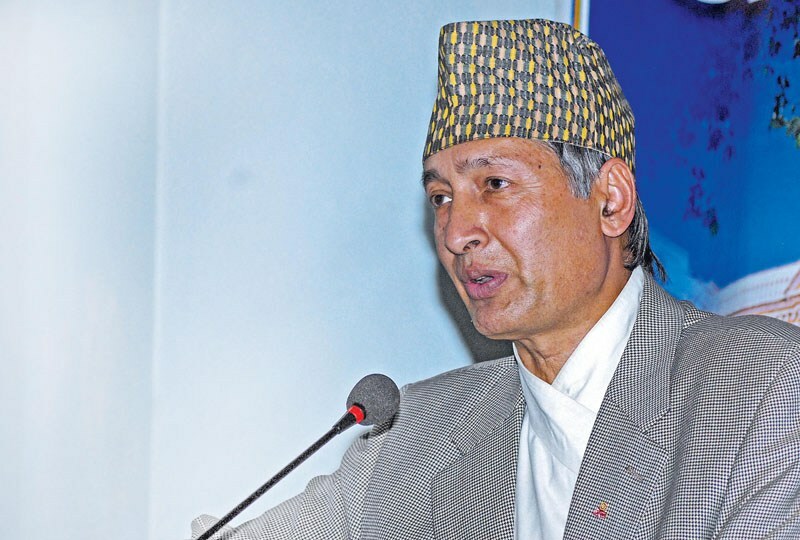 Stating that more than 70 per cent of the population of the country is poor and belong to the small family, Finance Minister Khatiwada stressed on the need of channeling investment for raising their income level. He added that small and medium-scale enterprises have contributed 90 per cent of the GDP. Although the economy suffered after the 2015 earthquake it has started recovering, he said.